Product categories of Other Pad Printer, we are specialized manufacturers from China, Other Pad Printer, Printing Machine suppliers/factory, wholesale high-quality products of Silk Screen Printing Machine R & D and manufacturing, we have the perfect after-sales service and technical support. Look forward to your cooperation! Other pad printers are pad printers with special designs. Such as rolling tampografia Ink Tray Pad Printer, rotary Pad Printer, pad printer with flame treatment function, Pad printer with auto-unloading system. pad printer with independent cylinder. You can start your printing business by buying a pad printer, Which is suitable for printing promotional gifts on different materials and different shape. 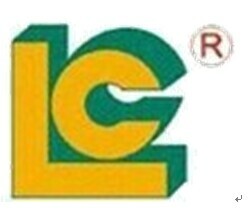 With 26 years history in printing business, Luencheng Printing Equipment Group Ltd has professional design teams. We can design the Pad Printing Machine according to your requirement. The innovation is out of your imagine.